Dies R Us: Last Minute Fast & Easy!! Can you believe that next week at this time is Christmas Eve? I can't believe how fast the time has flown! Do you still have cards you need to make to give with special gifts or to send to special friends? Well, I can help you with that today! This card is incredibly fast to make & as you can see, it is beautiful enough for anyone on your list! 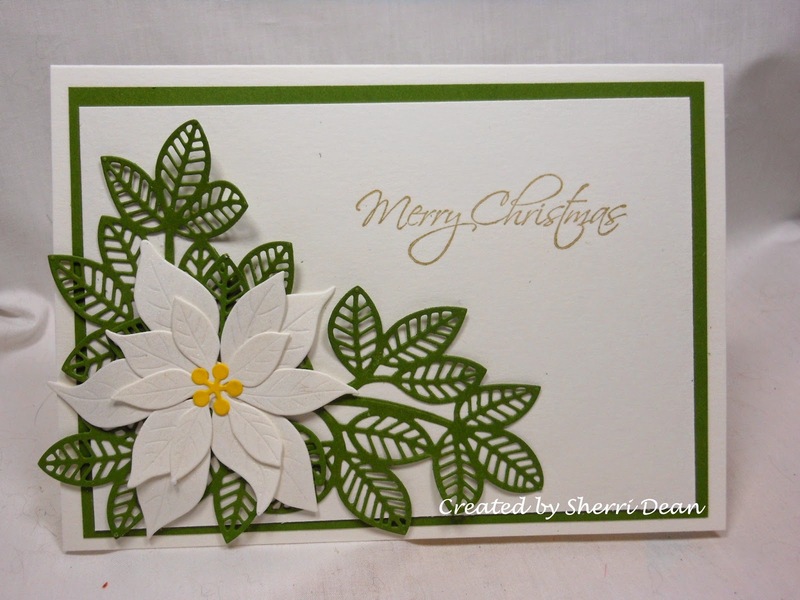 You need only two dies for this one: Sue Wilson Faux Quilled Leaves & Poppy Stamps Blooming Poinsettia. If you are giving this in person, you can use your stylus to shape the flower leaves for an even more dramatic look. Since I have to mail this one a long way, I left it flat. By changing the "Merry Christmas" to a "Thank You" this would also be a gorgeous way to thank Santa for a gift! Be sure you check out all the rest of the week's great ideas from our other designers too! They have some fabulous ideas I know you will love! And if you are ahead of schedule, be sure you take time to enter the latest Dies R Us Challenge that just began on the 15th! And for anyone still needing last minute gifts, a gift certificate to Dies R Us would be an awesome choice! Catch you again next week! Happy Crafting!